This is when cooking first started for me. 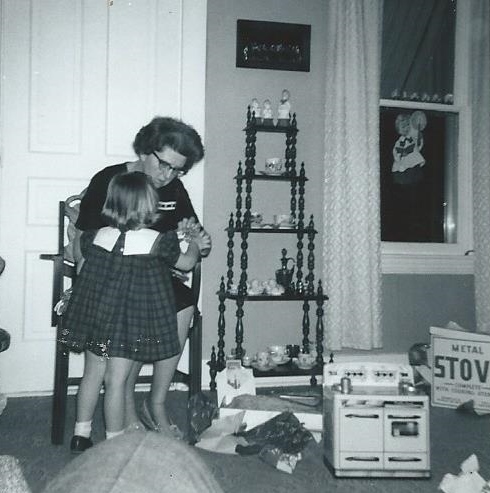 Notice the little toy stove in the lower right corner! Grandma seems to be helping me with something. I’m sure I was asking her questions about the stove. Does it have gas or electric burners? What kind of pans are these? Can I bake something right now? Can I bake a pie? Yep – here’s where it all started. Here’s where I realized that I could make food. That’s what today’s recipe is all about. Last Sunday night two of my children decided they wanted to learn how to make these. (There are times when I like having someone else cook. 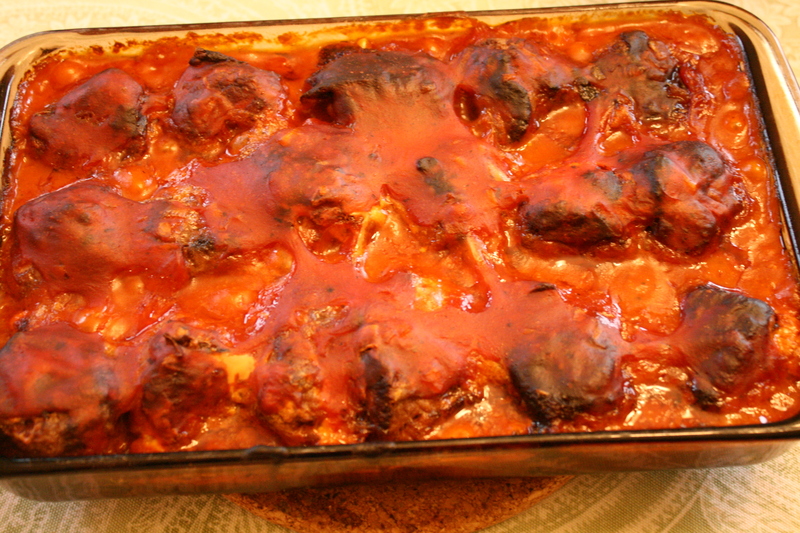 These meatballs are the epitome of comfort food. 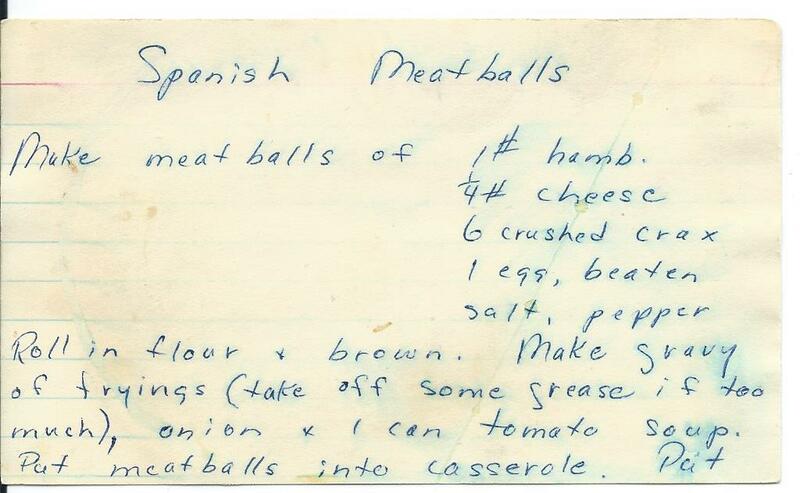 They aren’t spicy – just use tomato soup – so I’m not sure why the name is Spanish Meatballs. 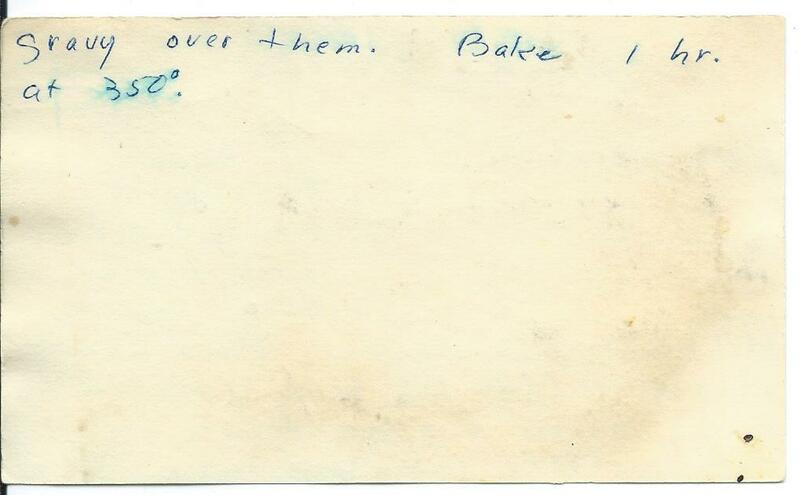 The recipe card is written in my mom’s handwriting so I think she was the one who found it originally. Roll in flour and brown in frying pan. 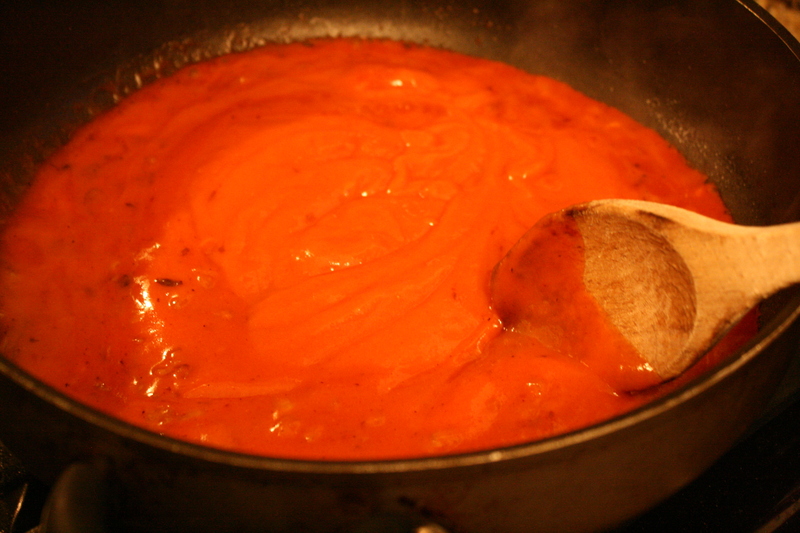 Make gravy of drippings (take off some grease if too much), chopped onion (1 small), and 1 can of tomato soup. 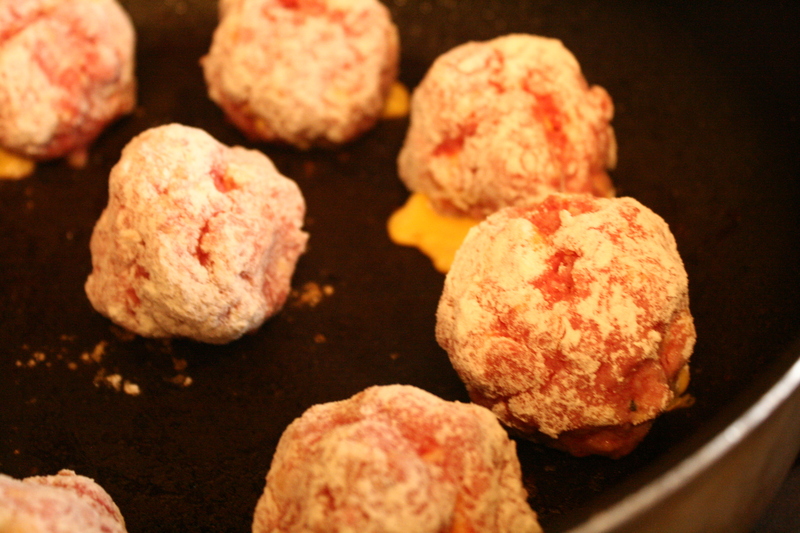 The cheese melts while you’re browning the meatballs. This is the gravy – let it cook in there for a few minutes and get a darker color. 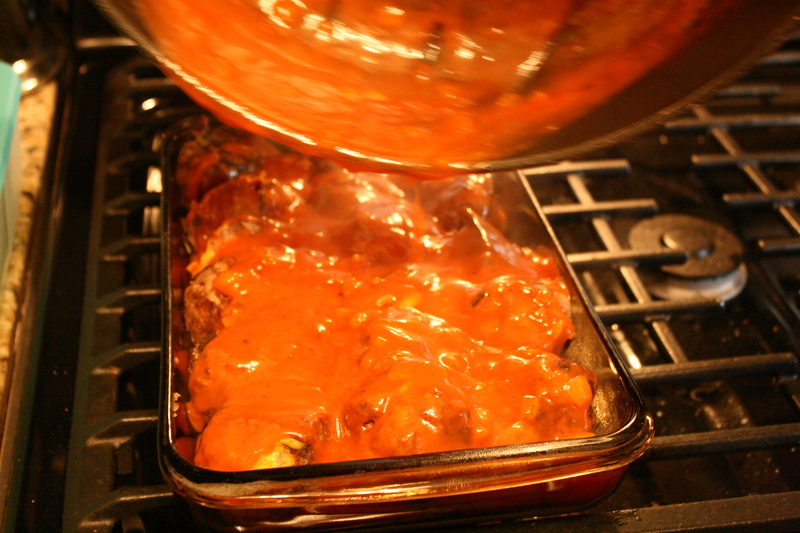 Pouring the gravy over the top of the meatballs. 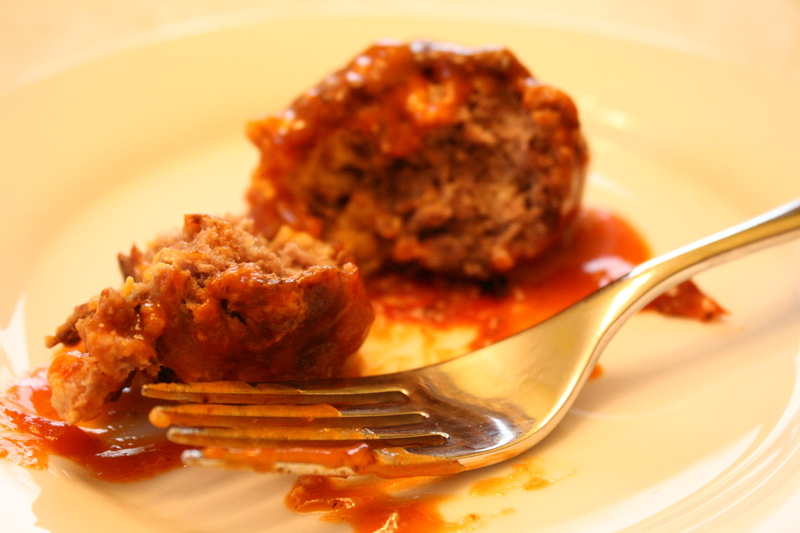 I highly recommend that you try these meatballs.